This is Part 4 of a series of quick learning guides for Oracle designers, developers and managers including database administrators. 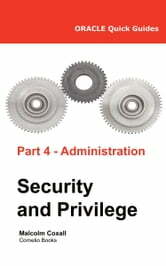 Part 4 introduces early entrants with basic Oracle skills to the main concepts of Oracle data security and user privilege management and administration. The guide includes details of how to create and how to manage users and their database object and system access and rights. The guide also provides a basis for understanding different database security strategies such as role-based security, virtual private databases and procedure-based security. 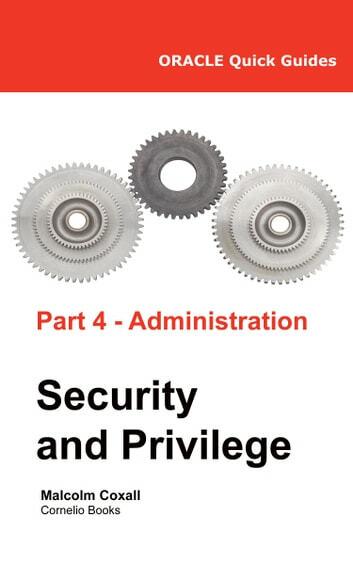 Part 4 contains a glossary of Oracle terminology related to database security and user privilege administration with clear explanations of the terms used. These guides are designed to rapidly deliver key information about Oracle to the following audience groups: Oracle Project and System Managers, Analysts, Oracle Software Designers and Developers and Database Administrators. Cracking The Java Coding Interview.